For the Druze scriptures of the same name, see Epistles of Wisdom. The Book of Wisdom (or Wisdom of Solomon, Wisdom, Book of the Wisdom of Solomon), is one of the books of the Bible. It is considered scripture, classified as deuterocanonical (meaning "second canon", "secondary canon", or "of secondary authority") by the Roman Catholic Church and similarly, anagignoskomenon (Gr. ἀναγιγνωσκόμενον, meaning "that which is to be read") by the Eastern Orthodox Church. Protestant churches generally consider it to be non-canonical (apocryphal), and thus not Biblical "scripture". It is one of the seven Sapiential or wisdom books included within the Septuagint, along with Psalms, Proverbs, Ecclesiastes, Song of Songs (Song of Solomon), Job, and Sirach. The Book of Wisdom should not be confused with the Wisdom of Sirach, a work from the 2nd century BC, originally written in Hebrew. Eusebius wrote in his Church History that Bishop Melito of Sardis in the 2nd century AD considered Wisdom of Solomon as part of the Old Testament (without necessarily using the term "canonical"), and that it was considered canonical by Jews and Christians. On the other hand, the contrary claim has been made: "In the catalogue of Melito, presented by Eusebius, after Proverbs, the word Wisdom occurs, which nearly all commentators have been of opinion is only another name for the same book, and not the name of the book now called 'The Wisdom of Solomon'." An Aramaic translation of the Wisdom of Solomon is mentioned by Naḥmanides in the preface to his commentary on the Pentateuch. Athanasius writes that the book of Wisdom and three other deuterocanonical books, while not being part of the Canon, "were appointed by the Fathers to be read". Epiphanius of Salamis (c. 385 AD) mentions that the Wisdom of Solomon was of disputed canonicity. Augustine (c. 397 AD) writes in his book On Christian Doctrine (Book II Chapter 8) that the Wisdom of Solomon and other deuterocanonical books are Canonical books. According to the monk Rufinus of Aquileia (c. 400 AD), the book of Solomon and other deuterocanonical books were not called Canonical but Ecclesiastical books. Pope Innocent I (405 AD) sent a letter to the bishop of Toulouse citing the book of Solomon as a part of the Old Testament Canon. The Decretum Gelasianum which is a work written by an anonymous scholar between 519 and 553 contains a list of books of Scripture presented as having been made Canonical by the Council of Rome under Pope Damasus I, bishop of Rome 366-383. This list mentions too the book of Solomon as a part of the Old Testament Canon. The Synod of Hippo (in 393), followed by the Councils of Carthage (in 397 and 419), the Council of Florence (in 1442) and finally the Council of Trent (in 1546) listed the book of Solomon as a Canonical book. The book is believed to have been written in Greek language, but in a style patterned on that of Hebrew verse. Although the author's name is nowhere given in the text, the writer was traditionally believed to be King Solomon because of references such as that found in IX:7–8, "Thou hast chosen me to be a king of thy people, and a judge of thy sons and daughters: Thou hast commanded me to build a temple upon thy holy mount..." The formulation here is similar to that of Ecclesiastes I:12, "I, Koheleth, was king in Jerusalem over Israel," which also fails to denote Solomon by name, but leaves no doubt as to whom the reader should identify as the author. The early Christian community showed some awareness that the book was not actually authored by Solomon, as the Muratorian fragment notes that the book was "written by the friends of Solomon in his honour." The traditional attribution of The Book of Wisdom to Solomon has been soundly rejected in modern times. Says the Catholic Encyclopedia: "at the present day, it is freely admitted that Solomon is not the writer of the Book of Wisdom, which has been ascribed to him because its author, through a literary fiction, speaks as if he were the Son of David." Although the book of Wisdom is also called the Wisdom of Solomon, it was most likely composed centuries after the death of King Solomon. Scholars believe that the book represents the most literary post-classical Greek language found in the Septuagint, having been written during the Jewish Hellenistic period (the 2nd or 1st century BC). The author of the text appears well versed in the popular philosophical, religious, and ethical writings adopted by Hellenistic Alexandria. Evangelical biblical scholar Peter Enns proposed in his essay "Wisdom of Solomon and Biblical Interpretation in the Second Temple Period" that the author of Wisdom of Solomon was an Alexandrian Jew during the silent persecution initiated in Egypt under Caesar Augustus. During this period the Jews lost their citizenship and the surrounding culture started to worship the Emperor as a god which, according to Enns, is clearly hinted at by the unique choice of the word "sebasma" for "idol" – a word that is a clear reference to Sebastos, the Greek form for Latin title "Augustus". As such, the Book of Wisdom is an encouragement to refuse any compromise with idolatry and an exhortation for the rulers of the world, where the author identifies himself with Solomon to judge the contemporary world. Enns maintains that an identification of Pseudo-Solomon with Philo of Alexandria (as proposed by Jerome and others) is simply wrong, both because of some theological and stylistic grounds and because of the different character of the persecution against the Jews, as Caligula was a violent persecutor while Pseudo-Solomon addresses a non-violent persecution or discrimination. Peter Enns's theory identifies the author of Wisdom of Solomon as an Alexandrian Jew writing c. 26 BC. Some commentaries (such as the Jerusalem Bible ) mention Wisdom 14:22 ("Afterward it was not enough for them to err about the knowledge of God, but they live in great strife due to ignorance, and they call such great evils peace.") as a clear reference and condemnation of the so-called "Pax Romana" (starting in 29 BC under Caesar Augustus). The exclusive use of references to events prior to the Solomonic kingdom is a literary device the author used to make his work appear to be a genuine piece of Solomonic literature. The fact that Wisdom of Solomon is listed as one of the "five books of Solomon" at the Council of Carthage doesn't mean that the Council Fathers meant it to be a genuine work of the powerful king of Israel, because this list comprises Ecclesiasticus, whose author is mentioned by name as Jesus son of Sirach: the words "of Solomon" probably meant all wisdom literature in general, Solomon being the clearest representative for this virtue. The philosophical influences on the Book of Wisdom may include those of Middle-Platonism. Some religious and ethical influences may also stem from Stoicism, found in the writings of the Alexandrian Jew, Philo, to whom Book of Wisdom has on occasion been wrongly attributed. (This is evident in the use of the four Stoic ideals, borrowed from Plato.) A sorites appears in Chapter 6 (v. 17–20). This logical form is also called chain-inference, "of which the Stoics were very fond." One passage (Wis. 8:2–18) has notable similarity to Virtue's speech to Heracles in Xenophon's Memorabilia, Book 2, 1:37. Although the Book of Wisdom is non-canonical in the Rabbinical Jewish tradition, the work was at least known to medieval Jews, as Rabbi Moses ben Nachman (Ramban) attests. That it was known to ancient Jews as well is trivially true, as that was the milieu of its composition. According to the Jewish Encyclopedia, the last section (9:18–19:22) is devoid of all connection with what precedes it. The speaker is no longer Solomon, but the author or the saints (16:28, 18:6 et passim), who recite the history of Israel's redemption from Egypt and other enemies. In like manner, the words are not addressed to the kings of the earth (9:18; 10:20; 11:4, 9, 17, 21; et passim), but to God, the deliverer from the Red Sea. The whole appears on close observation to be part of a Passover Haggadah recited in Egypt with reference to Gentile surroundings, and it accordingly abounds in genuine haggadic passages of an ancient character. 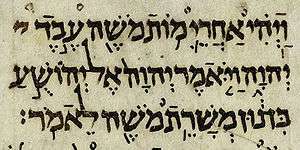 It is of some interest that the philosophy which the Book of Wisdom in Chapter II puts in the mouths of the "ungodly," presumably the Epicureans, bears strong literary resemblance to a prominent passage from the Jewish High Holiday liturgy, "Man begins from dust and ends in dust" (אדם יסודו מעפר וסופו לעפר) from the Unetanneh Tokef prayer (cf. Genesis 3:19: כי עפר אתה ואל עפר תשוב). The relevant verses from Book of Wisdom (II:2–5) read in part, "the breath in our nostrils is as smoke... our body shall be turned to ashes, and our spirit shall vanish as the soft air... our life shall pass away as the trace of a cloud... and shall be dispersed as a mist... for our time is a very shadow that passeth away." The Unetanneh Tokef prayer seems to offer a close parallel: "As to man, his origin is dust and his end is dust... he is like a broken vessel of clay, like withering grass, a fading flower, a passing shadow, a drifting cloud, a fleeting breath, scattering dust, a transient dream." If this similarity is more than coincidence or the common citation of a third text, such as Isaiah 40:7, it would not be the only instance of Apocryphal influences on the Jewish liturgy. Elements of Ben Sira are also found in the High Holiday service and other prayers. There are found in the Book of Wisdom and other books of the wisdom literature to Wisdom as a personification with divine attributes. In chapter seven, Wisdom is said to be “the fashioner of all things” (v. 22). Because she fashions all things, is “an associate in his [God’s] works” (8:4), and is a “pure emanation of the glory of the Almighty” (7:25), Wisdom is eternal and one in being (consubstantial) with the Father. Because Wisdom is God’s “creative agent”, she must be intimately identified with God himself. One indication that personified Wisdom refers to the Messiah is the paraphrasing of Wis 7:26 in Heb 1:3a. Wis 7:26 says that “she is a reflection of eternal light, a spotless mirror of the working of God, and an image of his goodness.” The author of Hebrews says of Christ: “He reflects the glory of God and bears the very stamp of his nature, upholding the universe by his word of power.” Much like the Word is characterized in the prologue to the Gospel of John, wisdom is described as "a breath of the power of God... [that] renews all things... passes into holy souls and makes them friends of God... [and is] the active cause of all things, ...the fashioner of what exists" (Wis 7:25,27,8:5-6). Furthermore, Wisdom speaks of personified Wisdom in a Trinitarian way at 9:17: “Who has learned your counsel, unless you have given wisdom and sent your holy spirit from on high?”. The next verse says that salvation is an act of Wisdom. In Christianity salvation is an activity reserved for God, but it is here given to Wisdom, thus identifying them with one another. Some may see the second chapter of the Book of Wisdom (Wisdom 2) as building up to a prophecy of Christ’s passion. First the ungodly men are described (Wis 1:16–2:9), followed by their plotting against the righteous man (2:10–20). The passage describes in detail the treatment of Jesus by the Jewish authorities. The first indication for some that it is a prophecy of the Messiah is in verse 11. Where the RSV reads "weak", the Greek has "achreston" (ἄχρηστον), which some may claim is a play on the title Christos (Χριστός). Verse 12 is a quotation from the LXX version of Is 3:10; Is 3:10 was allegedly taken to refer to Jesus in the 1st-century Epistle of Barnabas. On the whole, this treatment of the suffering of the righteous man is heavily indebted to Isaiah; particularly the fourth Suffering Servant song (Is 52:13–53:12). Verse 13 uses pais (παῖς), child or servant, from Is 52:13. Verse 15 says his very sight is a burden, referencing Is 53:2. In verse 16 he calls God his father, which is thought to be based on a poor understanding of pais as in Is 52:13. Verse 18 is comparable to Is 42:1. Verse 19 makes reference to Is 53:7. A final reference to the Messiah is the righteous man’s “shameful death” in verse 20. This death has been identified with Jesus’ death on a cross, a cursed death hanging on a tree. In the realm of Bible criticism and theology, all sorts of opinions are held by all sorts of persons. Some opine that the Gospel of Matthew may contain allusions to the Wisdom of Solomon in the structuring of Matthew's Passion Narrative. Supposed parallels between Wisdom and Matthew include the theme of testing, and the mocking of a servant of God's claim to be protected by God. Matthew's gospel teaches that Jesus is the suffering servant of God. ↑ "CHURCH FATHERS: Church History, Book IV (Eusebius)". Newadvent.org. Retrieved 2010-07-10. ↑ "Canon of the Old and New Testaments Ascertained, or The Bible Complete without the Apocrypha and Unwritten Traditions. – Christian Classics Ethereal Library". Ccel.org. 2006-11-15. Retrieved 2014-03-11. ↑ Williams, translated by Frank (1987). The Panarion of Epiphanius of Salamis 8:6:1-3 (2. impression. ed.). Leiden: E.J. Brill. ISBN 9004079262. Retrieved 11 October 2016. ↑ "NAB – Wisdom – Introduction". USCCB. 2002-12-09. Retrieved 2010-07-10. ↑ "CATHOLIC ENCYCLOPEDIA: Book of Wisdom". Newadvent.org. 1912-10-01. Retrieved 2010-07-10. ↑ "Wisdom of Solomon and Biblical Interpretation in the Second Temple Period"
↑ David Winston, op. cit., 208. ↑ David Winston, op. cit., 119. ↑ M. Suggs, “Wisdom of Solomon 2:10-5”, Journal of Biblical Literature 76:1 (March 1957): 30. ↑ David Winston, op. cit., 120. W.F. Albright, Matthew: The Anchor Bible (New York: Doubleday, 1979), 348. This article incorporates text from a publication now in the public domain: Kaufmann Kohler (1901–1906). "WISDOM OF SOLOMON, BOOK OF THE". In Singer, Isidore; et al. Jewish Encyclopedia. New York: Funk & Wagnalls Company.